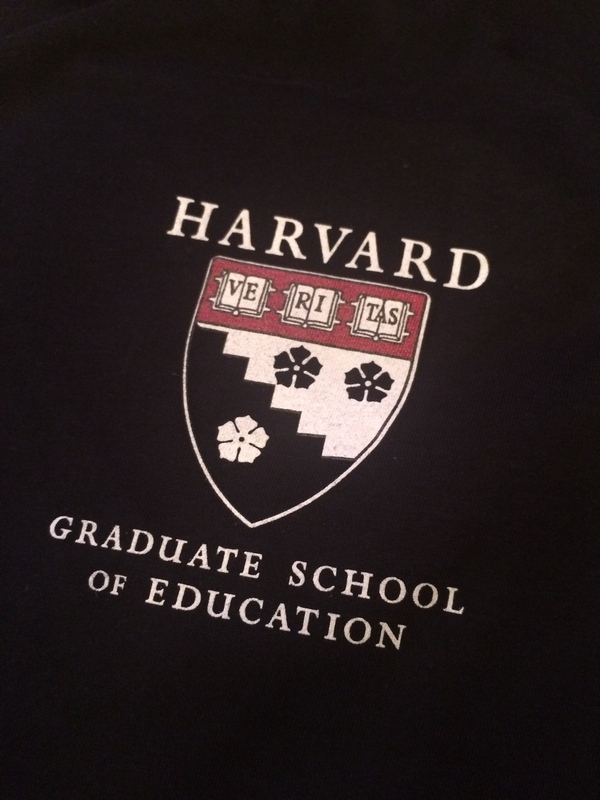 During the July holidays I attended Project Zero Classroom at Harvard University. As I wandered the grounds during the break sessions I started to notice how many tourists came to wander through the university grounds. What was surprising was the number of families bringing their children – not much older than the 8 year olds I teach – through the university. I struck up a conversation with one family about their reason for visiting – to show their children their future. Over the last few weeks I’ve been thinking more and more about the families wandering through the university grounds. On one level I understand the attraction, being amongst some of the finest minds in education for only a week has jolted my ideas around teaching and learning. I can only imagine what 4 years amongst the ‘best and brightest’ can do for an individual. Yet on another level, I can’t help worry about labelling a child ‘Harvard-bound’ at such a young age before the child who they are and what they want out of life. Is it any better than the principal who told my parents that I was at a school for ‘factory workers, not doctors or lawyers’ 30 years ago? Both approaches put a child on a narrow track with one destination in mind without taking into account of a child’s interests or abilities. Here’s the giant elephant in the room, our schools are organised primarily around the goal of getting as many kids as possible into university programmes – the harder the programme is to get into the better. While those roads may be paths towards a happy life for some, it might not be for all and in the race to be the best there’s a risk that you get so get caught up in a destination you might lose sight of the journey There’s a delicate balancing act between drawing the best out of a person, and pushing someone into a mould. Has education got the mix balance? I do agree with your trend analysis, but I feel here the parents are making children learn how to dream. Yes, there is a fear that kids may get caught up in a destination, hence surely loose the sight of Journey; there is a chance to create the sight of the journey in order to reach the destination. In this case the choice is being imposed on children so there is a great chance for the children to revert and make their own researches(Newton’s Third Law) and have a better choices in the future. My 4 years of university have played a vital role in my after university life and it would have been something better if it were in any of the star university.